Mitsubishi Motors Australia Limited (MMAL) is pleased to welcome back a very popular special edition of its Outlander SUV, the Outlander ACTiV, which offers the superior quality, safety, space, versatility and comfort the Outlander is renowned for, and adds numerous interior and exterior upgrades. With a limited release of 1,750 units, the Outlander ACTiV is based on the entry-level Outlander LS and is packed with additional features, at no extra cost. Exterior enhancements include 18-inch alloy wheels, a chrome accented radiator grille with a stylish black centre, black roof rails with sporty cross bars, fog lamps, a chrome exhaust tip and a special edition ‘ACTiV’ badge. The interior of the Outlander ACTiV doesn’t miss out either, and now sports an interior style package which includes chrome handles and silver accents throughout the vehicle, enhanced safety with the addition of reversing sensors, and hands-free Bluetooth with microphone. 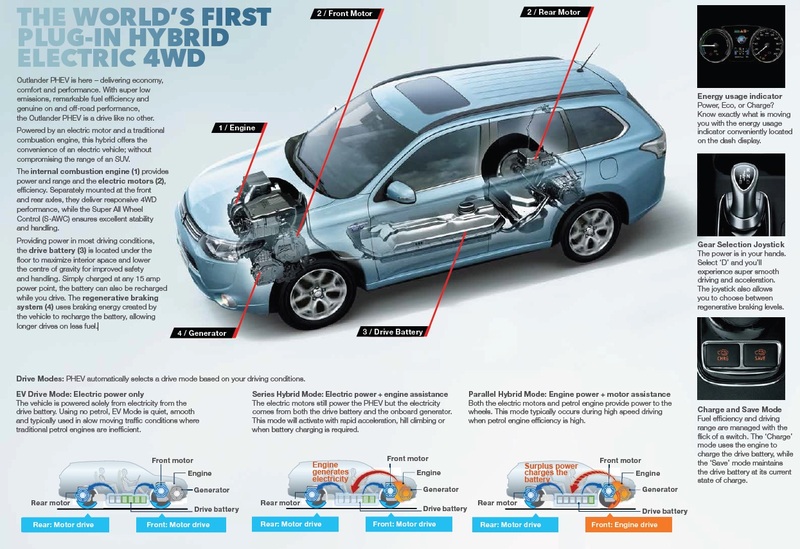 Additionally, the two-wheel variant also receives automatic air-conditioning and side and curtain airbags, features the four-wheel drive already carries as standard. MMAL Vice President of Brand and Marketing, Paul Unerkov welcomed the return of this special release edition of the versatile Outlander. 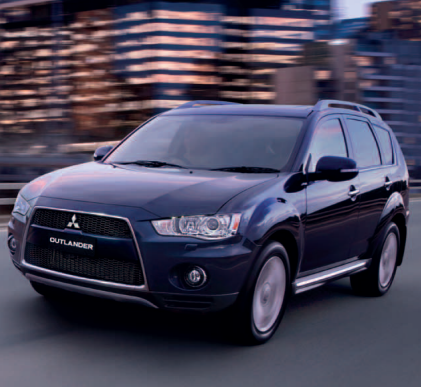 “This special edition Outlander ACTiV offers a great package to our customers. Already popular for its styling, flexibility and safety, the Outlander is now even more value-packed.” said Mr Unerkov. The Outlander ACTiV is powered by the company’s economical 2.4-litre DOHC 16-valve MPI MIVEC engine, which generates 125 kW of power @ 6,000 rpm and 226 Nm of torque @4,100rpm. The 2.4-litre engine is mated to a five-speed manual transmission or an optional continuously variable automatic transmission (CVT) with Sports Mode sequential style shift changes and INVECS Smart Logic. Available in both two- and four-wheel drive variants, the Outlander ACTiV comes with five seats and has an additional option of a seven seat version available as a four-wheel drive CVT. The ACTiV is available in the full range of Outlander colours. Safety is a focus of the Outlander range, with all models featuring driver and front passenger dual stage SRS airbags, active stability control, ABS with EBD and RISE body protection and three-point ELR seatbelts. 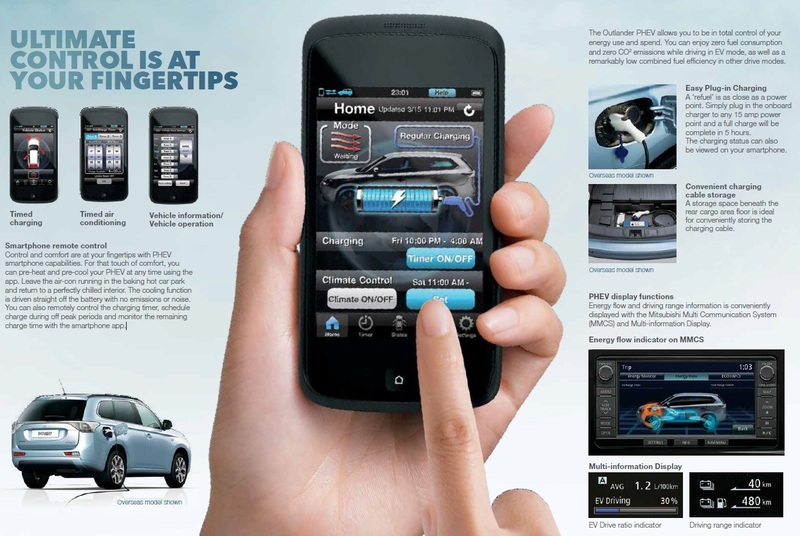 The 2011 range also includes upgraded electric window systems, remote-control locking, steering wheel mounted audio and cruise controls, two-speed variable and intermittent wipers and a USB port. The Outlander ACTiV is covered by Mitsubishi’s 10 year / 160,000 km non-transferrable drive-train warranty, five year / 130,000 km new vehicle warranty, free five year/130,000km Roadside Assist and Capped Price Servicing for the first four years or 60,000 km of ownership*.